Fancy exercising your chuckle muscles, having a titter or just, maybe, cracking a smile? Well there should be plenty to laugh about at this year's Jesterval Comedy Festival, which is being held at Baltic Square on Gateshead Quayside this June. With comedy headliners such as Jason Manford already signed up and lots more well known local artists and TV favourites from the comedy circuit, it's an impressive line up sure to put a smile on everyone's lips and banish any leftover winter blues. 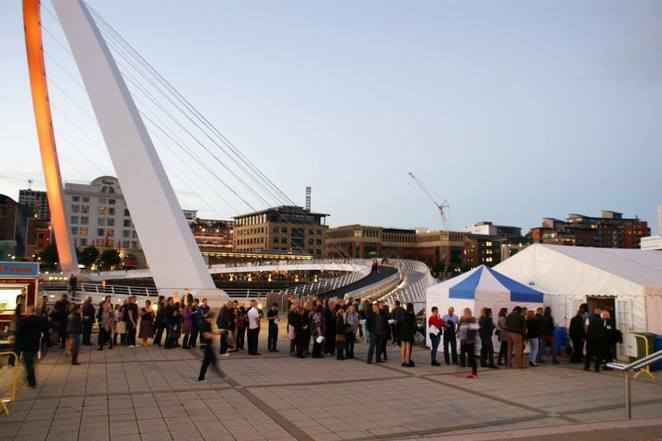 For the second year running, this North East premier comedy fest visits Baltic Square, the forecourt in front of the Baltic Centre for Contemporary Art, on the banks of the River Tyne. The venue is right in the heart of Newcastle/Gateshead, within sight of the famous Tyne Bridge, and the prestigious music venue The Sage. You can't miss it. A short walk over the iconic Millennium Bridge will also take you to the buzzing nightlife on Newcastle Quayside, so there's no need to hurry home. Bringing his 2013/14 sell out tour '20th Century Problems' to the party is top comedian Jason Manford, who is a regular on our telly at the moment with panel show appearances such as Guess List hosted by Rob Brydon and 8 Out of 10 Cats with Jimmy Carr. An actor and a writer, his combination of a Likely Lad persona and laid back witty banter is sure to please the crowds. 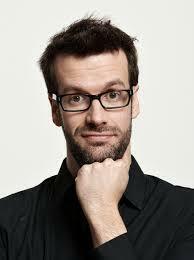 Keeping the laughter fest going will be regular television panelist Marcus Brigstocke. "If you haven't seen him live, then you haven't seen him at his very best," says the Daily Mirror. Marcus presents his show Je M'Accuse – I am Marcus while Middlesbrough comedian Patrick Monahan will be pleasing the audience with his show Adventures in Monahan Land. If you prefer your comedy in its female form, there's a feminine fiesta of funny ladies taking to the stage including Zoe Lyons who really cuts the mustard with her award winning performance. Newcomer Zoe won Best Joke of the Fringe at the famous Edinburgh Fringe Festival last year and has recently been on tour with TV comedian Michael McIntyre's Comedy Roadshow. And there's Luisa Omielan. Her show What Would Beyonce Do?! received great reviews from the Daily Telegraph who said "Feel-good factor so pronounced they should prescribe it on the NHS". The Festival is in partnership with BBC Newcastle, who will be recording the final night quiz show between their presenters and the comics for broadcast later in the year to coincide with the annual BBC Children in Need charity fund raising telethon. An extravaganza, that has become a national institution over the last three decades. 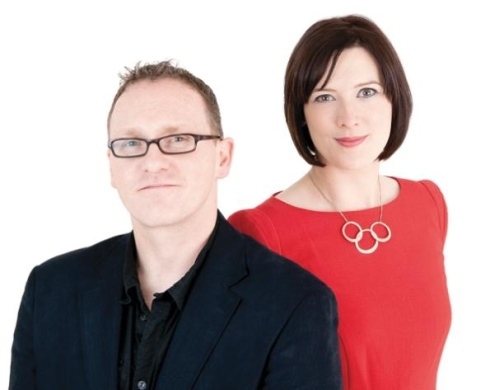 Local comedian and BBC Radio Newcastle presenter Alfie Joey is on the bill on 12th June alongside other colleagues from the local radio station as the rib tickling draws to a close. Alfie can usually be heard on weekday mornings alongside his sparring partner, journalist Charlie Charlton, as they bring the issues of the day to the regions airwaves and get people talking on their phone-in breakfast show - I know, I've had my few minutes of fame by ringing in with my two-penneth worth a couple of times. Alfie has also appeared on the hit TV show Hebburn which based itself on an off-beat version of Geordie family life, as represented by the South Tyneside town of the same name that sits on the banks of the Tyne down river from Newcastle. Running from 6th-14th June 2014, the festival consists of a full programme of family events as well as stand-up comedy and will take place under a specially erected 350 seat heated marquee overlooking the river. There will also be a covered area serving drinks and refreshments where the audience can mingle with the entertainers after the show. Family shows include Let's Circus and Pirate and Parrot, which will entertain adults and kids alike and with ticket prices at a very reasonable price, there's even more to smile about. Some shows at Jesterval are free, however a voluntary donation may be requested in some cases. Tickets are available online for individual shows and some have minimum age requirements. There will be no refund on tickets sold to under-age visitors who arrive as part of a group so if you are coming as a family group, check out the age rating before you purchase your tickets. So whether you like your comedy improvised, sure-fire one-liners, laid back banter, vividly visual or just plain silly, there's something for everyone. Here's a few to whet your appetite but be sure to check out the full Line Up to satisfy your funny bone. Tickets are available from this link and tickets booked online will incur a booking fee. Marcus Bridstock brings his show on Saturday 7th June at 8.30pm. Tickets cost £15. Rating 16 plus. 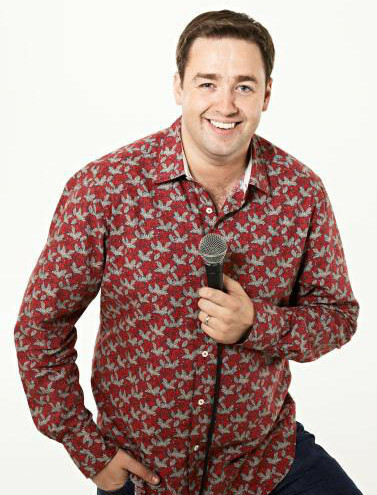 Jason Manford will be performing on Sunday 8th June at 7.00 pm. Tickets cost £22.50 and the show is rated for ages of 16 plus. 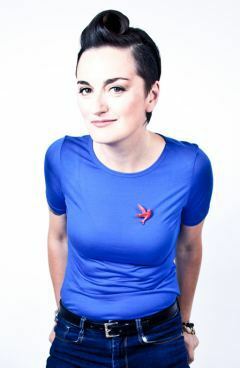 Zoe Lyons will be appearing Monday 9th June, at 7.30pm. Tickets cost £5.00 Rating 16 plus. 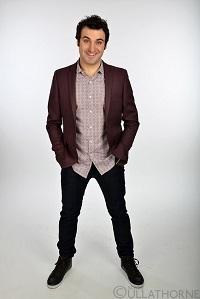 Patrick Monahan will be appearing on Wednesday 11th Jun at Tickets cost £7 – Rating 16 plus . 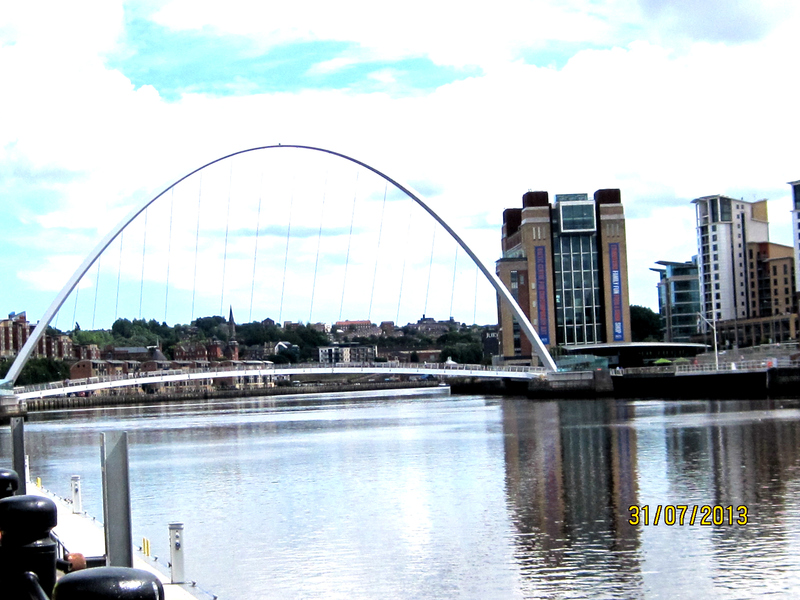 Car parking is available at the Baltic Centre and the surrounding areas, however it may be better to use public transport into the centre of Newcastle or Gateshead and either walk towards the quayside (about 20 minutes) or take one of the Quaylink buses (Q1 and Q2) which run a circular route every 10 minutes between Newcastle Central Station and Gateshead Metro Interchange with plenty of stops along the route. If you fancy making a weekend of it and perhaps seeing more of what Newcastle upon Tyne has to offer, there's the Millennium Copthorne Hotel just along the quayside on the Newcastle side of the River Tyne, there's also other hotels in Newcastle city centre such as 'Jury's Inn' close the Central Station and 'Premier Inn' close to Monument Metro station and both within walking distance of the Tyne.